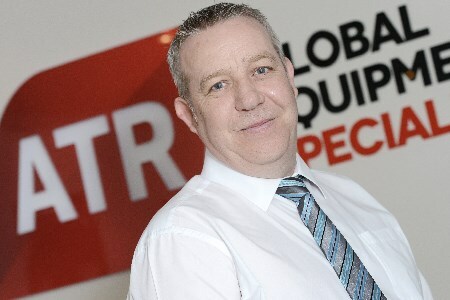 ATR Group has announced a six figure investment towards developing its inspection capabilities, which will see its in-house personnel delivering further rope access services and non-destructive testing (NDT); a method fast becoming one of the most in-demand techniques used by the energy industries across the globe. NDT measures various material and mechanical properties of an object without affecting its operating performance. According to a recent report, the global NDT market was estimated to be valued at US$12.98 billion in 2015 and is projected to reach US$18.88 billion by 2020. ATR’s personnel are currently fully trained to industry body Lifting Equipment Engineers Association standards and are also qualified in accordance with Lifting Operations and Lifting Equipment Regulations 1998. Based in Aberdeen, Byers will oversee the workforce as they attend a combination of external and in-house training to become fully qualified in magnetic particle, dye penetrant, eddy current and ultrasonic NDT methods. ATR Lifting Solutions Divisional Director, Findlay Moir, said: “We have one of the largest teams of inspection engineers in the UK oil and gas industry and, with George on board, the company is in a strong position to further develop our inspection and testing services to the next level. “Given the challenging times facing the sector, we believe it is important to keep investing in and developing our people to ensure we can continue to offer increased value to our clients and galvanise our workforce. Byers, who began his career as an NDT technician moving into management 10 years later, added: “ATR has a fantastic reputation for delivering successful campaigns here in the UK and globally, and I’m thrilled to be part of helping build on this even further.